Aged 9-12 months and produced on the island of Sardinia (Sardegna), Italy, BiancoSardo is a firm sheep’s milk cheese in the Pecorino Sardo family of cheeses. Arguably one of the more noteworthy aspects of this cheese is its rugged, rippled rind created by molding the cheese in woven baskets. The cheese curds are poured into a traditional basket made of the same Apulian grasses the herd grazes on, just as this cheese has been made for centuries on the island of Sardinia. Today’s sheep graze on the same grasses in Sardina’s Apulian fields that sheep did hundreds of years ago to produce the distinctively flavored milk used to make BiancoSardo. You’re about to taste a bit of Italian history. BiancoSardo’s texture is drier, similar to an aged Parmigiano Reggiano, crumbly with heaps of flavor crystals (tyrosine). 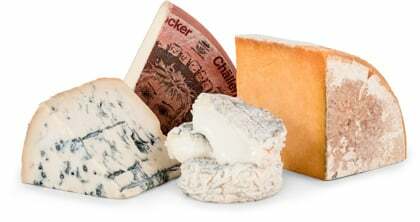 It’s considered to be an 'old world' cheese. 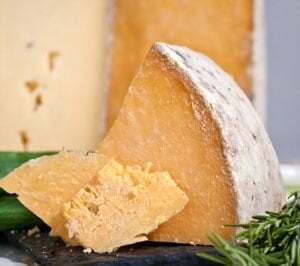 The flavor is savory and sweet from the sheep's milk, slightly herbal and earthy closer to the rind, and tangy, while offering a balanced amount of salinity. Though sharp and full flavored, BiancoSardo’s flavor profile and surprisingly creamy mouthfeel will please many palates. A great snacking cheese, it can be chiseled into small wedges or grated over your favorite pastas. It would also be a welcome addition to any panini. Pair it with robust, fruity red wines.